Science of Cocktails 2017 - Celebrate the Artistry of Mixology and the Science Behind it! 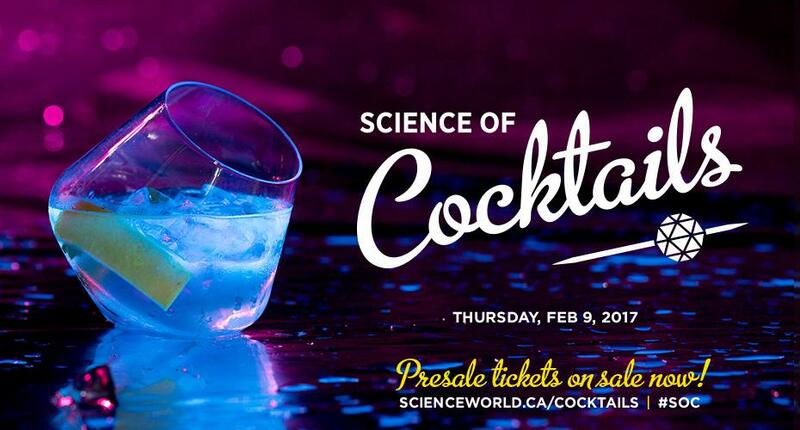 One event I was privileged to attend and write on last year was Science World's annual Science of Cocktails. This signature fundraiser was created to fill a need created when the government took away funding for Science World’s Class Field Trips which is dedicated to bringing in students from underserved schools in Vancouver and the Lower Mainland. It was an amazing experience and I loved the idea pairing what they are all about - science - with a fundraiser cocktail party which is always popular with supporters. February 9, 2017, they're getting ready to do it all over and again and I for one will be there. 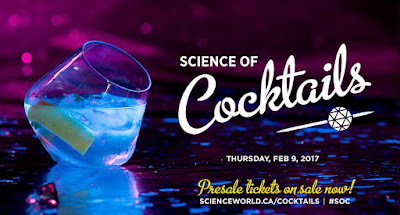 They will transform Science World at TELUS World of Science into Vancouver’s largest laboratory, where the city’s most talented bartenders and chefs will showcase the chemistry, biology and physics behind preparing modern cocktails and cuisine. 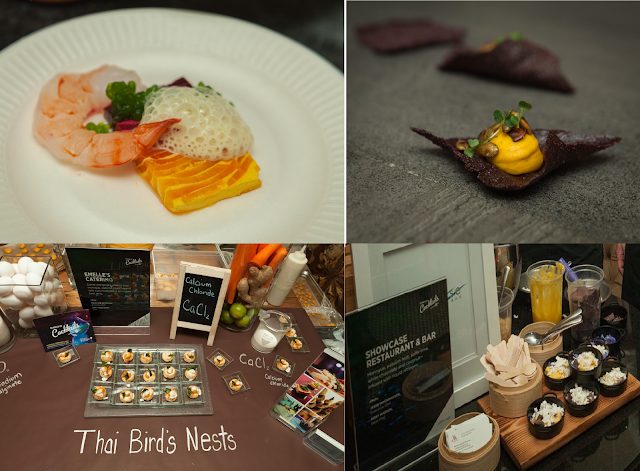 Each ticket includes complimentary cocktails from 20+ bar stations run by award-winning bartenders, paired with 12 food stations featuring molecular gastronomy from local talent. Guests will also enjoy a variety of special cocktail science activities, hands-on science demonstrations and classic Science World fun. To drum up excitement, Science World held wonderful preview night on January 17th at the Clough Club in Gastown, with samples offered at three cocktail stations and four food stations. There were also three interactive science stations and a live DJ to keep the vibe lively. 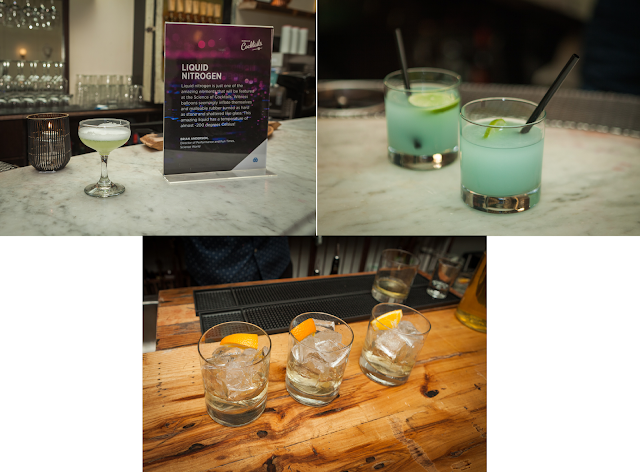 Below is an overview of the evening that offered just a small taste of what is to come at the February 9th event, as well bartender bios and a great selection of wonderful photographs. By employing technology Food Scientist & Bar Owner Dave Arnold calls "nitro muddling," we can avoid the unpleasant side of muddled herbs: namely, pieces of bruised, dull-colored (potentially bitter) vegetation floating in your cocktail. You're welcome to select a custom combination of herbs for your drink! You’d never guess at first glance that milk is a main ingredient in this clear concoction, but thanks to a little liquid alchemy—based upon acid’s protein separating effects when mixed with dairy— this milk-rich punch can be clear as day. Who doesn't enjoy a boozy slushy? It's an adult twist to a summer favourite. A few lines of code allow a simple computer to control motors, belts, and valves to create an amazing robot cocktail. Amber Bruce and Jason Laidlaw, bartenders (see bio below)Can you pour as accurately as a professional bartender with no measurements to guide you? 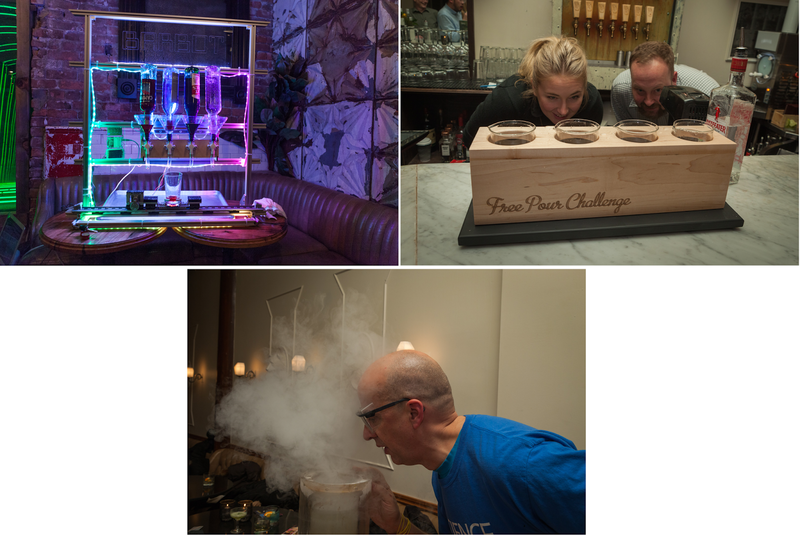 Brian Anderson, Director of Performance and Fun Times, Science WorldLiquid nitrogen is just one of the amazing ingredients that will be featured at Science Of Cocktails. Witness balloons seemingly inflating themselves, rubber turned as hard as stone, and produce shattering like glass with this amazing liquid that has a temperature of almost -200 degrees Celsius. Natasha Lands, aka DJ Cherchez, has love for Vancouver’s arts and culture scene. She is involved in art curation, photography, and music. With a heart for Vancouver’s arts community and a vested interest in contributing to its cultural diversity, she has acted as curator for several very successful and unique art related events such as; Night Vision I and II, Emily Carr Grad Art School After Party, Here Is Now, Jamcouver Hotel Party, Fuse The Grand Ballroom - Vancouver Art Gallery and Chinatown Night Market. With a passion for bringing people together in a unique way Natasha has promoted many original events including; Bob Masse Retrospective, A Soundtrack to my Life music series featuring Douglas Coupland, Fred Herzog photo slide show, New Years at the Vancouver Hotel and many more. For the last four years, Natasha acted as curator and head promoter of Fortune Sound Clubs Friday evening programming. Currently, she is producing events and collaborations under Free Association. Trevor Kallies -Trevor has spent the last 15 years managing the bar programs at some of the highest volume bar locations in Vancouver. He became the Bar & Beverage Director for the Donnelly Group in 2010, overseeing the menus & profitability of 14 locations around Vancouver for beer, wine & cocktails. 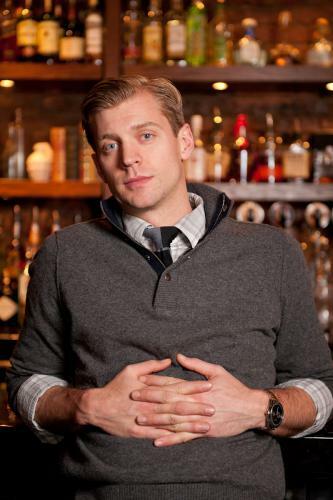 In addition to managing the Donnelly Group beverage program, Trevor has competed & won multiple cocktail & drink competitions including Craft of Cointreau, the Appleton Rum cocktail competition, the G’Vine Le GCP cocktail competition and placed highly in many other high profile drink challenges in Vancouver, across Canada & globally. In 2009 Trevor became a founding member of The Canadian Professional Bartender’s Association (CPBA), helping to form an organization that is now Canada-wide with members in Ontario, Quebec, Alberta & the Maritimes. In 2013 Trevor was elected the President of the BC Chapter of the CPBA and maintains that role today. 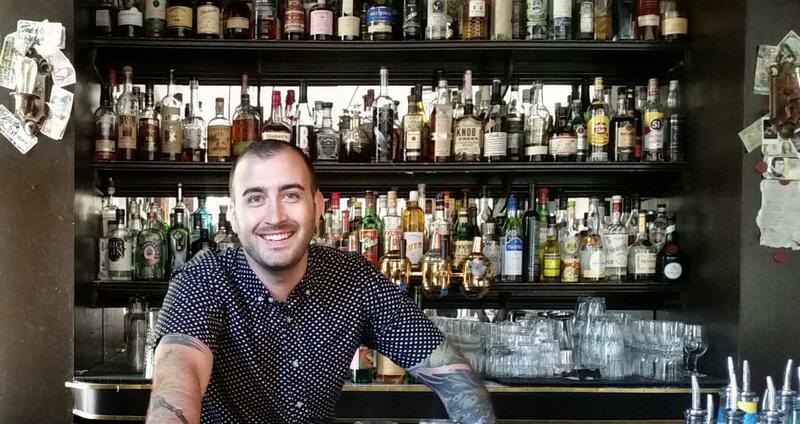 In 2011 Trevor became part of the Cocktail Apprentice Program (CAP) at the infamous Tales of the Cocktail in their first ever ‘Tales on Tour’ in Vancouver. He has since been promoted to CAP Manager at the annual Tales of the Cocktail in New Orleans where he helps manage a team of 60 global bartenders where they execute the seminars, cocktails and events at the biggest cocktail event in the world - working with Brand Ambassadors, Distillers & some of the best cocktails minds from around the world. Gez McAlpine Cutting his teeth in the influential bar scene of Melbourne, Gez Mcalpine has worked in some of the top cocktail establishments from all over the map alongside world leaders in cocktail culture. After finding home in Vancouver, Gez led the team at the iconic Keefer bar, Vancouver’s premier destination for craft cocktails. During this time, competition success took him to all corners of the globe, representing Canada in global competitions like Beefeater MIXLDN, Diplomatico World tournament and Giffard West Cup. As of 2016, Gez has traded the barspoon and shaker for an Ambassador hat and now travels the country as western brand ambassador for Bruichladdich Single Malt and the Botanist Gin, spreading the story of this progressive Hebridean distillery and bringing years of industry experience and spirits expertise to bartenders and consumers alike. Chris Enns - Chris started bartending nine years ago, like most, as a way to help pay for school. His favorite subjects were biology and chemistry. 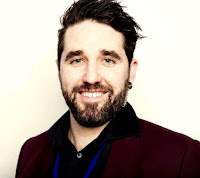 He believes that the knowledge that everything is connected at a common biological level helps bartending not only with flavour pairings but most importantly with serving his guests. It didn't take long before the passion for bartending took over and it became more than a side gig. Originally from Saskatoon, Chris made the move out west two and a half years ago, and worked hard to land a position at Gastown's The Diamond. After a second place finish at 2016's Diagio World Class & Grey Goose Pour Masters, Chris looks forward to this year's Bacardi Legacy where his 'El Patrimonio' will be representing Vancouver on the national stage. 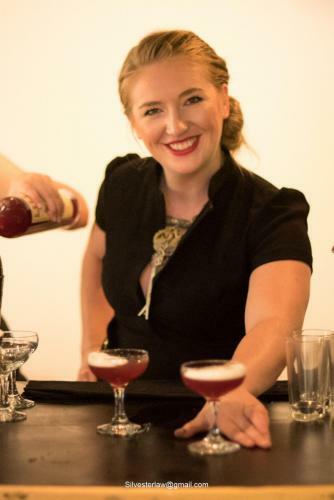 Amber Bruce - Senior Bartender at Keefer Bar. 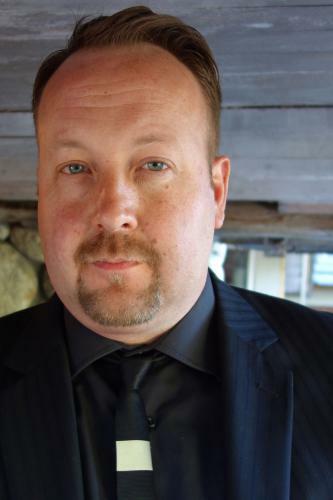 Former Bar Manager at Cuchillo Restaurant. Winner Absolut Big White Bartending Competition 2015. Regional finalist Diageo World Class Bartender of the Year Competition 2015.
years and counting behind the bar, Jason brings a wide range of bartending, nightlife, promotional, and marketing experience to his bartending adventures. Having worked in nightclubs, fine dining establishments, and private clubs, Jason now spends his time behind the wood at The Shameful Tiki Room, serving rum, stories and enjoyment to the citizens of Vancouver and the world, accompanied by gongs and smoke. He furthers his own and other’s education and passion through his work with the CPBA and with his monthly book club for bartenders.